Hello there! So I think its just time to dive in, there is no longer any denying it. 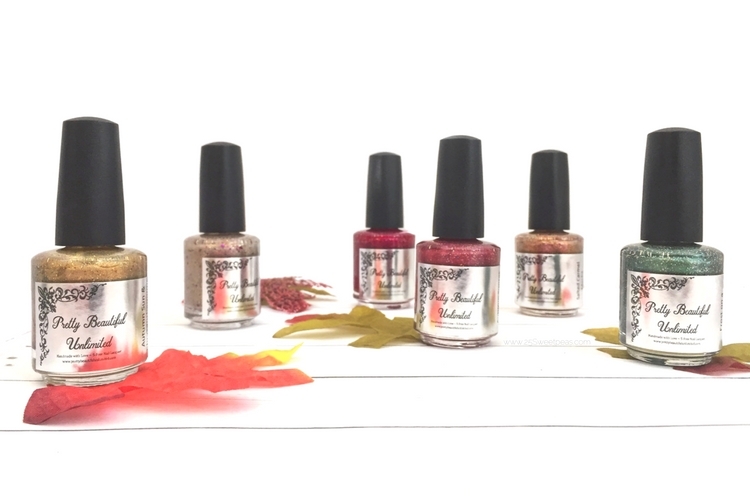 Fall is here, which I wasn't thrilled about but I have to say this polish collection has totally changed that! I am LOVING this collection! 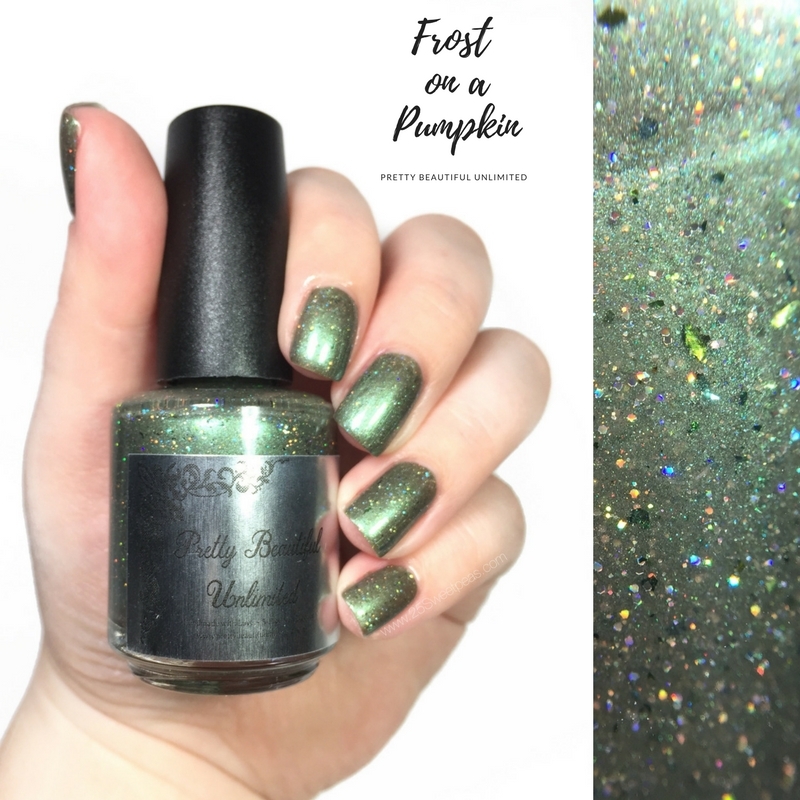 Pretty Beautiful Unlimited is getting ready to release the Vintage Fall Collection on September 23rd and I have photos of 6 of them and they are lovely so lets check them out! A light taupe cruelly base with spectra flair, green/pink/gold UCC flakies, mauve/red/orange/yellow chameleon pigment and green, silver and garner glitters . This beauty is just that. Its a beauty. I mean there is so much too it, every time I look at it I notice another color. Its also kind of a nice neutral color. Don't get me wrong, I love a good vampy color for fall but I also still love the lighter colors! I mean I think if someone where to ask do you prefer light or dark polishes, I would have to say light. Then also say bright and bold, ooo and holo! LOL! Anywhoooo I love this ones little tad bit of holo! Also I just love the name for this one! I mean berries is perfect to be in the title because the little berry colored glitters sooo look like little berries. Its just perfect! A fuchsia base with a light spectra flair effect and galaxy glitters in gold/silver/pink and copper. This is such a rich and bold polish! Its stunning. I love the subtle holo peeking through and its just a really fun magenta toned color. Its nice to see this in fall because I feel like most often the are more red/orange/wine in fall collections so to have it lean more pink is perfect! I think this one is actually my favorite! It just applied so nicely and I mean honestly it was almost perfect in one coat. I think most will be able to get full coverage in 1 coat. I did 2 tho because it did help to deepen the color which I think looks lovely! 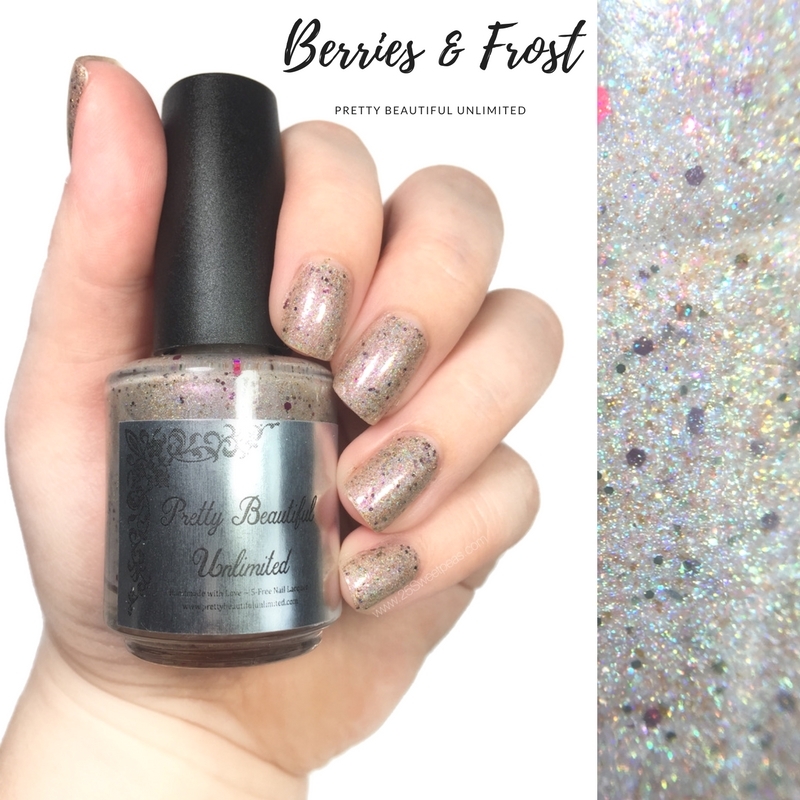 A wine metallic base with spectra flair, galaxy glitters in silver and gold and USS flakies that shift pink/purple/blue/green and blue/gold/green. Again, perfectly named! 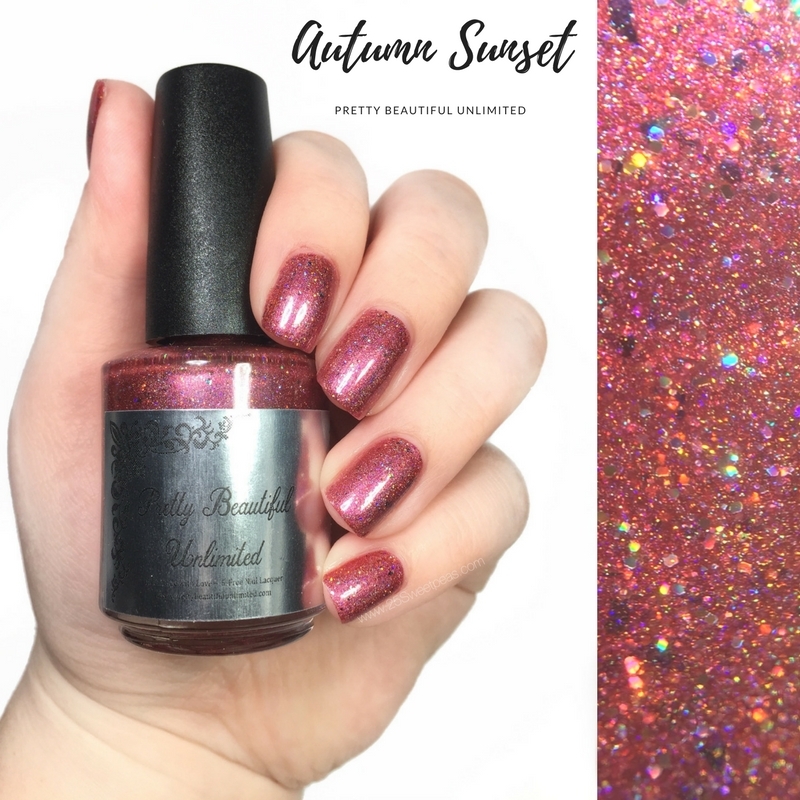 We have been treated to some really gorgeous sunsets lately and I think this really is a color that showed up in them so Autumn Sunset is perfect if I do say so. 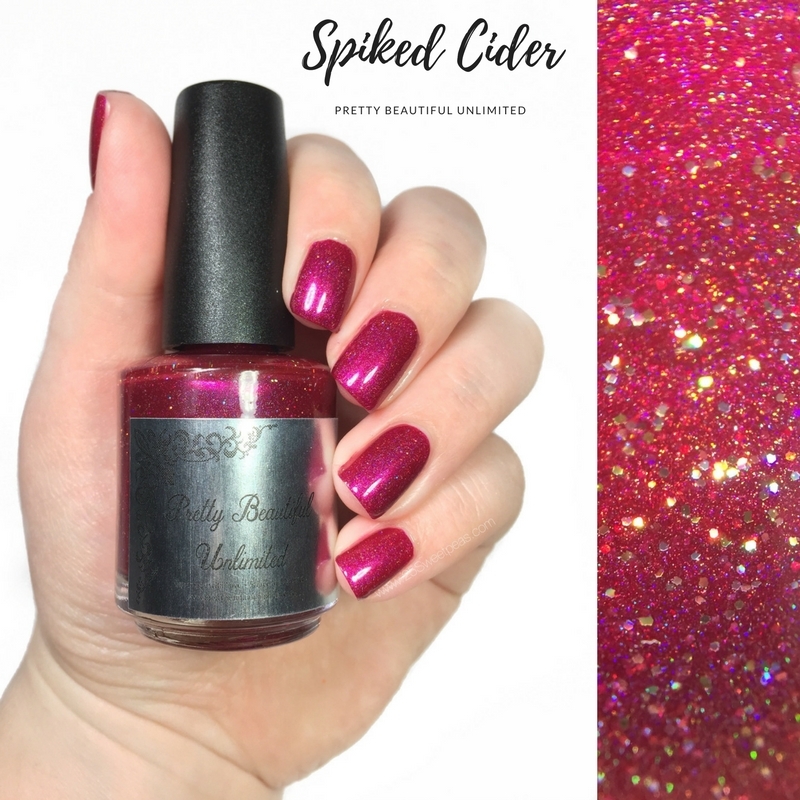 There is so much to this polish too. Its got a nice dustiness yet also bold glitters in it as well. A golden metallic base with red/bronze/copper UCC flakies and green/pink/gold UCC Flakies and gold galaxy glitters. 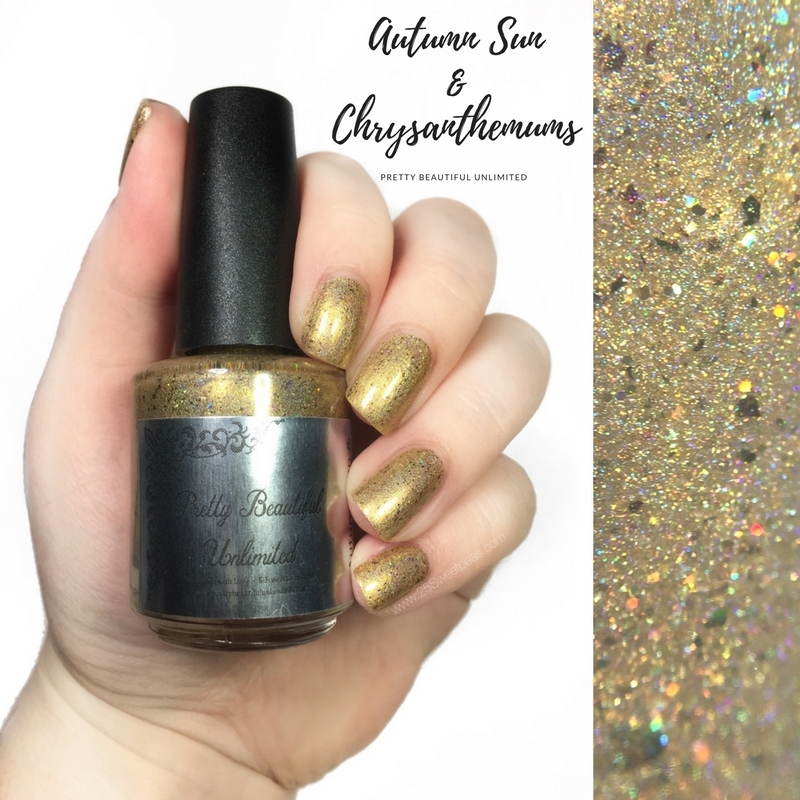 The perfect golden shade for fall and it totally makes me think of fall leaves! I also love the fact you can see the little green glitters. Totally add that green to yellow transition you get in the fall which is neat to have in a polish. This type of color has been becoming quite popular in fall clothing I have noticed too, so I think this will be a good one for people to try. Its not too yellow, which is nice and allows it to be worn on many skin tones. A medium green metallic base with UCC flakies, and silver micro glitters. Yes, yes, yes! This is great!!! 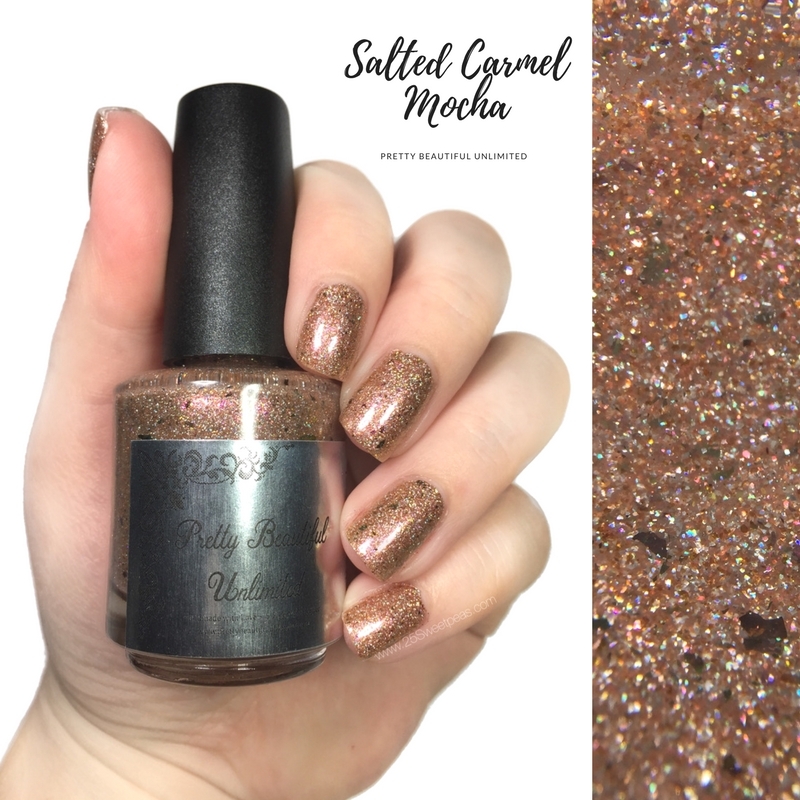 The metallic under look with the holos on top totally makes me think of velvet. Why? I have no clue but it does. It just has a soft look about it that I love. Green is one of my personal fave colors to wear in the fall because well it does wonders for my green eyes, plus its just a nice cozy color! This one matches a shirt I have perfectly too which is fun! :) Also I have been noticing those cute little decor pumpkins you can get in stores and they have them in this shade of green and I am kinda obsessed! I may or may not of bought one! ;) Just wait till the end of the post! LOL! A copper cruelly base with holo micro flakes, copper/gold/fuchsia and gold/silver UCC flakies and red/orange/yellow/olivine chameleon pigment. The name, the color ahhh now I just want something salted carmel. Since summer is my fave season I do have to remind myself their are aspects to fall that I do like. One of those would be the fall baking when it have carmel, or pecans! Yummmm! Plus I am really loving the copper trend as of lately and I feel like the copper tone in this is super nice and looks amazing in direct light! Well there ya have it guys! That is the 6 that I will be showing you. In addition to these there will be 6 more and they all sound amazing, so you are going to want to check out this release. The release will be happening HERE on September 23rd at 11am CST. You are going to want to be there! Well that is it for today! I hope you have enjoyed the post and then new video as well! Both were super fun! Also side note: these polishes came right before Hurricane Irma so while that monster was approaching us I got to play with these beauties and it was such a nice way to relax and distract myself with!